I have been keeping my expectation high for the upcoming Alibaba IPO on Hong Kong Stock Exchange. Got an E-Trade Global Trading account and transferred a substantial amount of money (to me) in hoping to get a piece of it when the stock begins trading on November 6th in Hong Kong. Now it seems I will have to wait 40 days before I can get my hands on it. After I posted the entry on Alibaba IPO the other day, I got a couple emails questioning whether I will be able to purchase the stock on Nov. 6. That’s basically my assumption because I can buy an IPO stock on the secondary market as soon as it goes public in US. 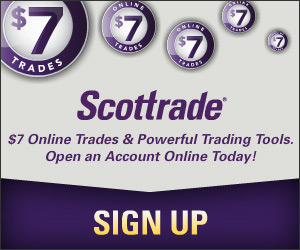 And when I searched E-Trade’s website, no information turned out that’s related to stocks listed on foreign exchanges. One said Yes and another said No. Still very confusing. So I called E-Trade again this morning and asked if there’s any rules for this matter. At first, the CSR said it’s between E-Trade and HKSE (or any other foreign exchange) that electronic trading for an IPO stock won’t be available in the first 40 days. Then, after putting me on hold for a couple of minutes, the CSR came back and said there’s indeed a SEC Regulation S that defines the 40-day cooling-off period. The 40-day “restricted period” for equity securities sold offshore by U.S. issuers who are subject to the periodic reporting requirements of the Securities Exchange Act of 1934, as amended (“Exchange Act Reporting Companies”), has been lengthened to one year, and has been renamed the “distribution compliance period” (“DCP”). The DCP is the 40-day or one-year period beginning on the later of (i) the date when the securities are first offered to persons other than distributors in reliance on Regulation S or (ii) the closing date of the offering. During this period, issuers and investors must observe certain restrictions (including compliance representations and legending of the offered shares) to ensure that the securities have not been purchased with the intent to resell them into the U.S.
Debt securities of (i) U.S. and foreign 1934 Act Reporting Companies, and (ii) foreign non-reporting companies. No offers or sales to (or for the account of) any U.S. person (other than a distributor) during 40-day DCP. After 40 days, u will see the price doubled, LOL. US regulations seem particularly restrictive – is this an attempt to save people from themselves or is there another underlying motive that I’m not seeing? Doh! Ah well. Actually, I think it might be better because Alibaba will probably run up and cool off after a week or so because of the hype. loulou: I don’t know that company you mentioned. So I am afraid I may not be able to provide you any input. Do you have the symbol? Where did it IPO? From what I observed in the past couple of years for Chinese IPOs, the stock usually goes up a lot in the first couple of days of trading, but it always come down a little bit in the following days/weeks after the initial hype cools off. I noticed a lot of stocks followed this pattern. So it may not hurt to wait some time before entering. And if the stock can’t deliver on the high expectation, it will eventually fall. Another thing I have noticed is that if the company has a dominate position in China, its stock usually does very well. And service related stocks, not technology stocks, are always good bet. If you plan to hold the stock for a long time and believe it can deliver the earning that supports its high price, then you can always buy it after the pull back. RC: Yes, Yahoo owns 40% of Alibaba’s parent company, but I don’t know how much Yahoo will benefit from Alibaba and how Yahoo’s stock will react to Alibaba. I still plan to buy Alibaba directly instead of using Yahoo. I have been folowing Alibaba stock since the intial IPO, and I was hoping to buy some options, but didn’t know how to do it. I personally think Alibaba shares should continue to go up, they are sitting at around 40 USD at the moment, but continue to rise. I may do a bit of financial spread betting on the stock, as my next best option. Aren’t the 40 days up soon? By my calculations, it would be today, but that did not count for any holidays/off days on the Hang Seng. What is the day? LM: Actually, the freeze period expired on Dec. 17th and I bought some shares of Alibaba on Dec. 19th from E-Trade. From my understanding, the 40 days are calendar days.